It may have taken Cam a while to come to Manchester but I am sure after last night she wont be regretting it and wont hesitate to come back again soon! The show was already announced as sold out and the venue was a perfect size, no matter where you stood you could see perfectly. Warming up the crowd tonight was her co-writer Anders Mouridsen. The Scandinavian got the chance to showcase a little set of his own songs he had written, just him and his guitar. He started his set with what he described as a dark song he wrote in 2013 called The Lock. The audience attentively listened to him play every word and loved it. After playing his other songs he played a song which captured the whole of the audiences attention with the hilarious humour and lyrics of the song Humans – this one had the audience laughing along the whole way through and definitely needs to be released as a single! Not many support acts capture the audiences attention like Anders did – he was the perfect support for Cam. After a little interval Cam entered the stage bang on time dressed casually in a Romeo and Juliet tee providing a little sparkle in her skirt she wore on stage. She came on stage, casually sat on a couch and explained the show will be a little different to other shows more like a Listening Room style show, Perfect! Starting her set with the title track to her first album Untamed she went on to explain the song was about a lot of tough lessons she learned in life. Manchester may be known for being a little drunk and rowdy but not this crowd. Tonight the audience fell silent as they listened to the words to this song and watched Cam showcase those powerhouse vocals she possesses. The first song hit the spot and ended to a rapture of applause. The next song was a personal favourite Mayday which she told the story about a guy she continued dating who was the “hottest kid in high school” kind. Even though they argued all the time, she was blinded by his “hotness” until there came a point where she just had to admit to herself that she was done with this jackass! Judging by the response from this song, it became clear to Cam that Manchester loved her. Cam had a surprised look on her face when the audience applauded and cheered, she looked completely shellshocked and we were only two songs in. It was only going to get better! Continuing playing her back collection of songs including Half Broke Heart and My Mistake, we finally came to the part of the night where Cam just breaks our heart by singing Village, a song she wrote for her friend Clare. Before she sang the tear jerker song she explained she wrote the song about her friend Clare’s brother who was the “cool kid” but died too young. Clare, at that point being 8 months pregnant didn’t know how to deal. Cam being the ever supportive friend wanted her to know she will always be there and wrote her this beautiful song. Well as expected there wasn’t a dry eye in the house in Manchester! Continuing her set of incredibly written songs she sang a cover of one of her favourite songs, probably one of the most random songs you will hear called Echo Mountain. Believe me, if you heard it you would see why. The song is based on a Welsh tale apparently! The confused and sad looks in the crowd as the song jumped from verse to verse was hilarious but it all made sense in the end. Continuing with cover songs she sang Robyn’s Call Your Girlfriend which was not known by many in the crowd but still made a fantastic addition to the set. Cam ended the show on two of her most successful songs Burning House and Diane. Burning House is the kind of song that people make their own stories about what they believe it’s about but it was beautiful listening to the incredible story of how Burning House became a song to Cam and how it all stemmed from a beautifully heartbreaking dream. As Anders strummed the opening chords to the track the audience fell completely silent, hugged one another and fixated on Cam singing this heartbreaking ballad. The audience participated by singing along during each chorus. There is only one way to end a Cam tour and that is with her most popular hit Diane of course. With the audience screaming along to every word and bouncing around, it was clear this was the song everybody had been waiting for all night! The audience didn’t want the night to end and booed when the lights came up but Cam promised she would be back soon! Let’s hope she is on that bill for C2C 2019! 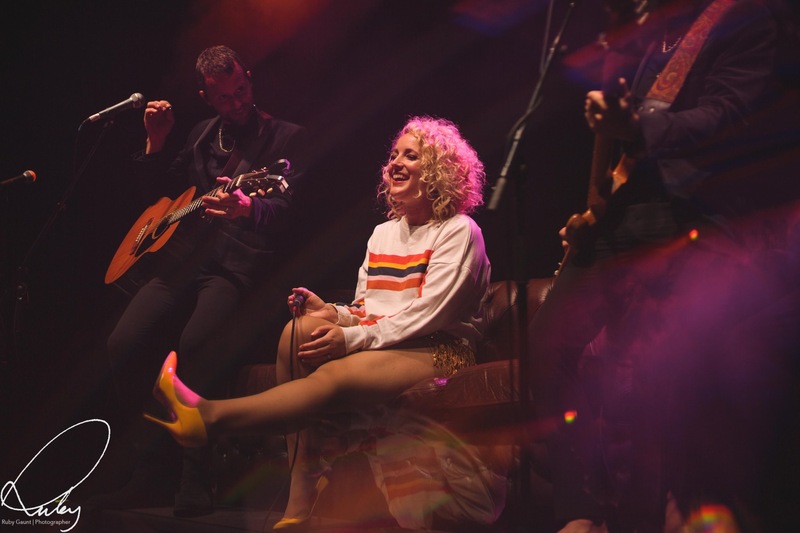 There are not many artists in the world today who can just sit there casually on a couch, sing their hearts out and captivate an audience like Cam did. She didn’t need any fancy stage backdrops or props, she just sat there told us some stories, made us laugh and cry and let the music do the talking and held the whole of Manchester in the palm of her hand! 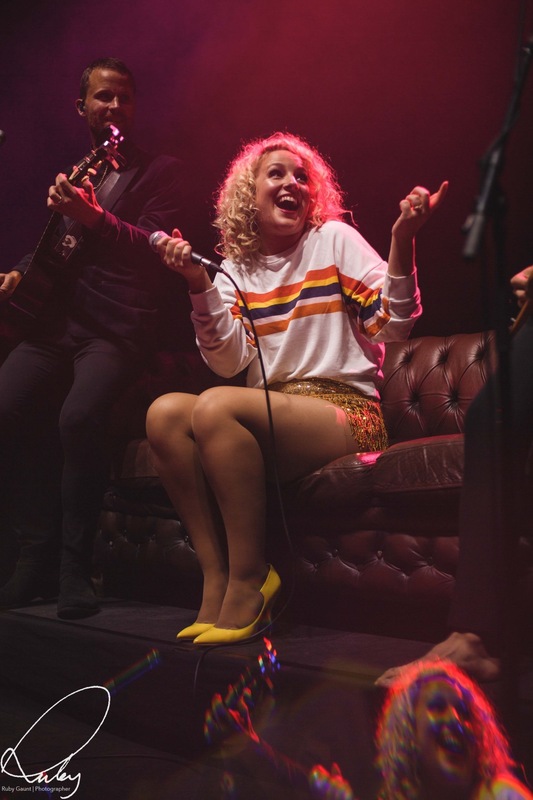 It may have taken her a while to come to Manchester but she wont hesitate to come back to see her Gorillas (inside joke) and blow us all away again with her fantastic stage presence and incredible vocals! This was one of the best gigs I have ever had the pleasure of attending and I cannot wait to see this wonder woman again!